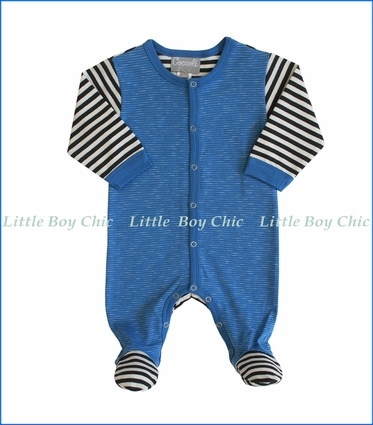 A Coccoli fave, this pewter-striped footie has a super soft hand feel providing baby with comfort. Matching trim. A bit of stretch for fit and comfort. Snap front closure.